EcoRx™ fish medications have been developed under the guidance of top koi vet Dr. Erik Johnson DVM. Instead of trying to catch your fish to medicate them, treat the water they live in with our EcoRx Fish Treatments. 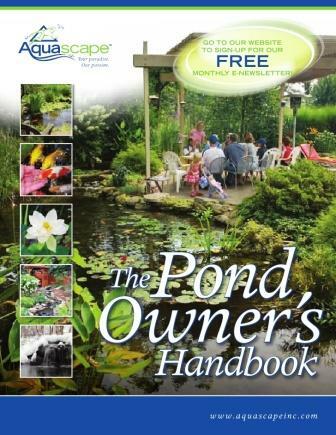 NOTE: If you need more help on fish related problems and health, purchase Dr. Johnson's "Koi Health & Disease" book in our Book & DVD section. Regular observation of your koi and goldfish will allow problems such as parasites and bacterial or fungal diseases to be detected early. Be familiar with your koi or goldfish's normal shape, size and color as well as swimming habits. A change in these factors may signal a problem. The problem must be identified in order to know the steps to take for treatment with the proper medication. Treating for a parasite, bacteria or fungus requires different medication. It is sometimes difficult to be aware of a problem with a koi or goldfish until its too late. Be aware of your Koi's behavior patterns so changes can be detected early. A change in your Koi's behavior is usually the first sign that that your Koi are stressed or ill and may need some type of koi medicine or treatment. EcoRx Pond Salt Salt can be used to treat a variety of common parasites such as ich, costia, chilodonella, and epistylis. Salt can also be used in theraputic amounts in order to reduce stress in fish and help them osmoregulate. 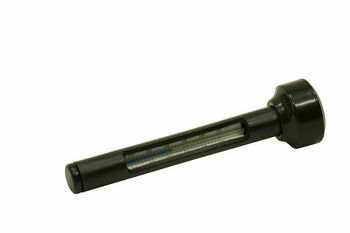 Always use a salt tester before and during adding salt to your pond. For more information on salt use "CLICK HERE"
EcoRx Ick Control Should be used to treat fish exposed to ick. Symptoms may include tiny white dots, flashing, lethargy, and labored breathing. For more info on Ich "CLICK HERE"
EcoRx Parasite Control Should be used to treat fish with symptoms such as sliminess of the skin, gasping for air, flashing, and clamped fins. EcoRx Bacteria and Fungus Control Should be used to treat fish with dropsy, bloating, ulcers, fin and tail rot, swim bladder disease, lesions, "popeye", corkscrew swimming and fungal infections. For more information on these disorders "CLICK HERE"
EcoRx Anchor Control Should be used to treat fish with anchor worms or lice. Anchor worms and lice may appear as little worms or "bugs" on the fish. For more info & picture, "CLICK HERE"
EcoRx Anti-Parasite Medicated Fish Food Should be fed to fish that are being treated for parasitic infections. EcoRx Anti-Bacterial Fish Food Should be fed to fish that are being treated for bacterial infections. 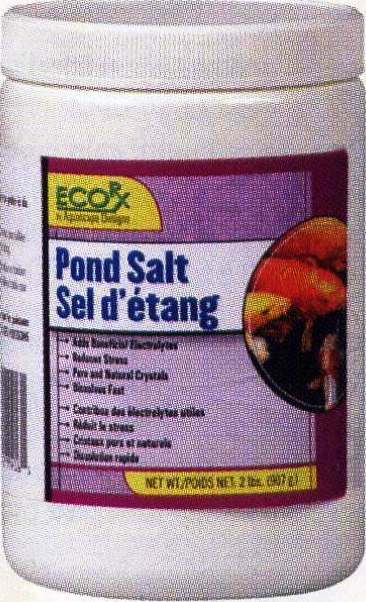 Pond Salt Used to treat fish parisites & bacterial infections, loss of electrolites, and increase defensive slime production in pond fish.